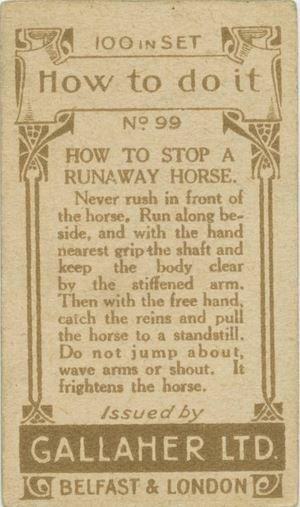 We thought we’d ease you back to the work week with a fun post on vintage life hacks. The Internet loves “life hacks” – tips, tricks and shortcuts to solve everyday problems or help you increase efficiency. We’ve carried some previously here on this blog – see Handy household hacks: creative uses for everyday products and Everyday products you’ve probably been using wrong. 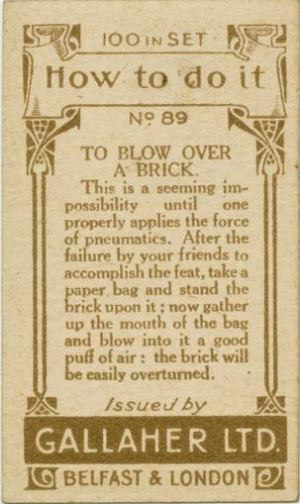 Back in the olden days (yes, there was life before the Internet, kids), “life hacks” were often called “household hints” and were often featured in newspaper and magazine columns. 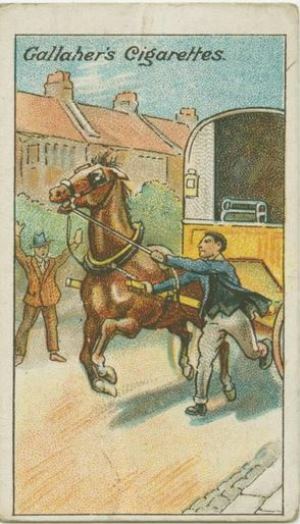 But before that, in the Victorian era, there were “trade cards.” Trade cards were typically two-sided cards with art on one side and information on the other side. The content could be fun, humorous, useful or handy. They were an important part of pop culture of the day. 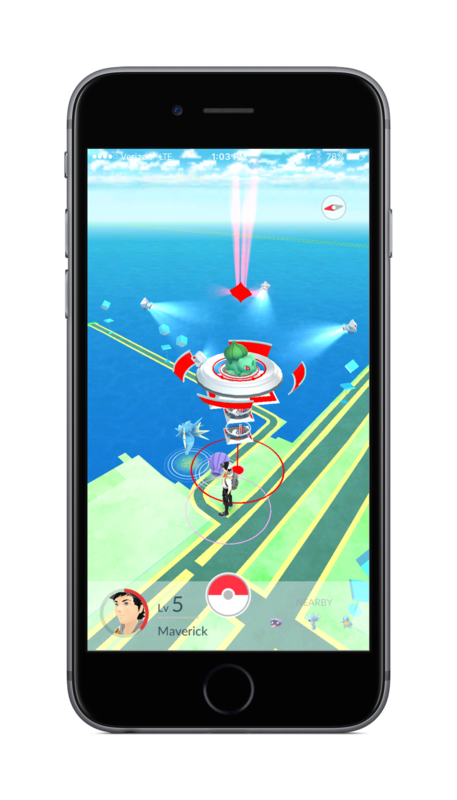 The goal was to carry an advertiser’s brand and get people to collect the entire series. 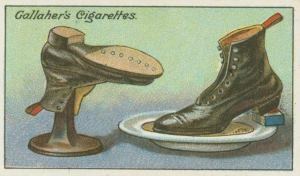 Cigarette manufacturers eagerly seized on trade cards as a way to spark repeat purchases. 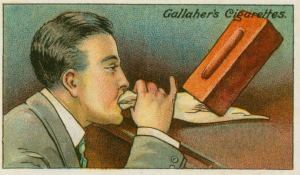 Here’s a link to a gallery of vintage household hints from Gallaher’s Cigarettes of Belfast & London on such useful topics as how to make a fire extinguisher, how to extract a splinter, how to clean real lace and how to stop a runaway horse. We’ve excerpted a few below. 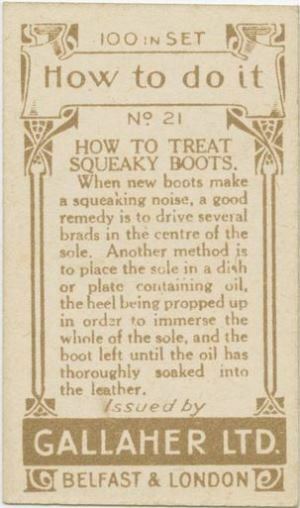 Other advertiser’s also produced “how-to” trade cards of household hints. Check the site’s sidebar to explore more topics. When some people think of Easter, they think of bunnies. Wrong. We think it’s all about the Peeps. Did you know that about 5.5 million peeps are made every day, for a total of about 5.5 billion in 2014? 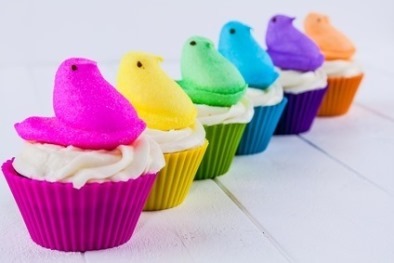 Learn more interesting peep facts in 20 Delicious Facts About Peeps. You can also see some of the science behind Peeps at Peep Research, where the little chicks have been put to various risk and stress tests to see what happens. To get in the spirit of the week, we thought our readers might enjoy some of these Peep recipes. How to make homemade marshmallow Peeps – You can actually buy peep molds. An adventurous cook tries her hand – see the step-by-step recipe with pictures. How to Make Peeps Infused Vodka – In this video, you’ll see how to make Peeps-infused vodka. Perfect for a lemon drop martini, this bright yellow cocktail starter will add marshmallow-flavored fun to your favorite mixers. For best results, float a fresh Peep in your martini glass! For the ultimate in Peeps cuisine, see PEEP THIS: 18 Ways to Drink + Eat Marshmallow Peeps on Easter. We close with just a few safety reminders. If you conduct any Peeps kitchen experiments, take precautions to avoid any kitchen fires. And if you plan to imbibe any of that Peeps-infused vodka, be sure you have a designated driver! Here in New England, we live on a fault line that could result in earthquakes, yes — but there’s an everyday fault line that wreaks a certain amount of havoc every baseball season: We’re talking Red Sox vs Yankees, folks, it’s the stuff of legends. Now you can map that baseball rivalry out with a fantastic feature from the New York Times, Up Close on Baseball’s Borders. There’s a U.S. map, as well as 14 sectional maps detailing baseball’s biggest rivalries. 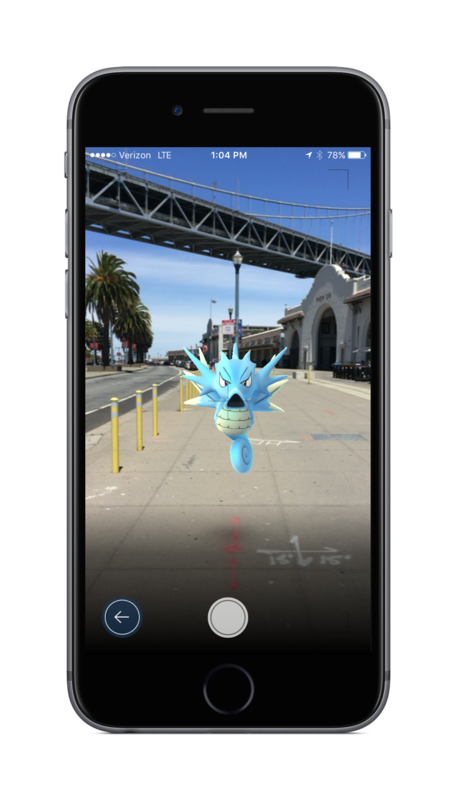 They’ve aggregated Facebook data down not only to the county level, but also to ZIP codes to show how the fans and the borders breakdown. 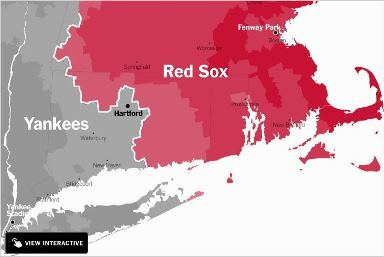 Always wondered whether Hartford and New Haven are Yankees or Sox fans? We don’t have to guess anymore. And what’s all this got to do with insurance? Well, here at Renaissance Alliance, we have independent agency members dispersed throughout New England. Most insurance shoppers pick a local agency to work with based on factors like convenience, service and reputation … but now with this interactive map, you have a new tool to target your agency selection — by geographic baseball team loyalty!